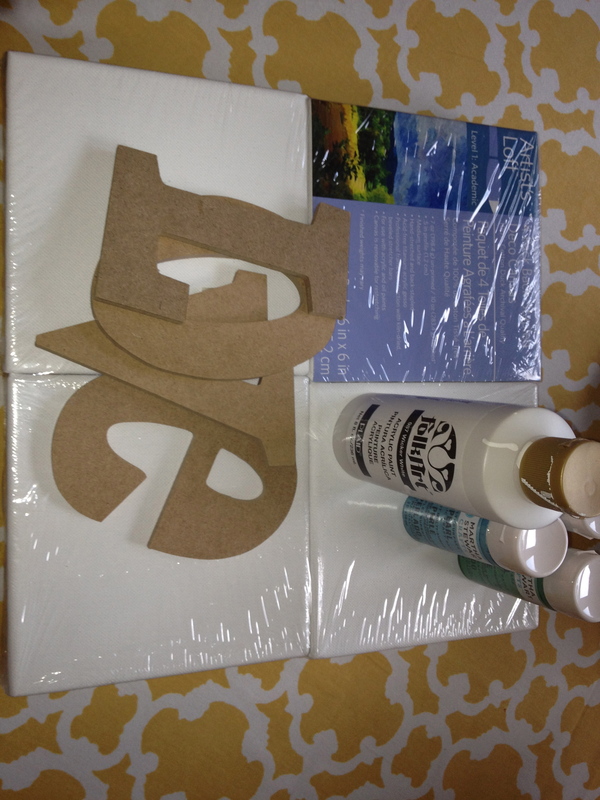 Here are the instructions for your DIY canvas pieces! 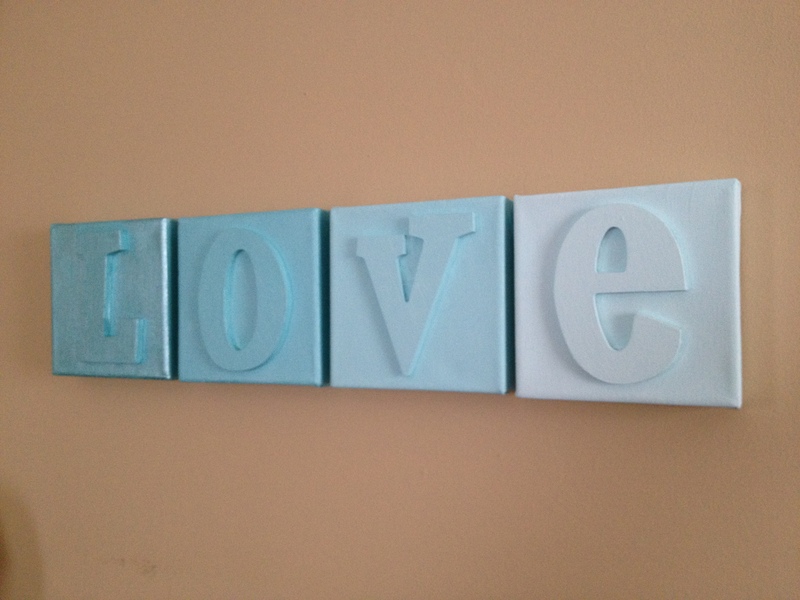 I grabbed the letters to spell LOVE (these were the cheaper, cardboard versions rather than wood), and scampered home to have some crafty fun. (I do scamper, on occasion). 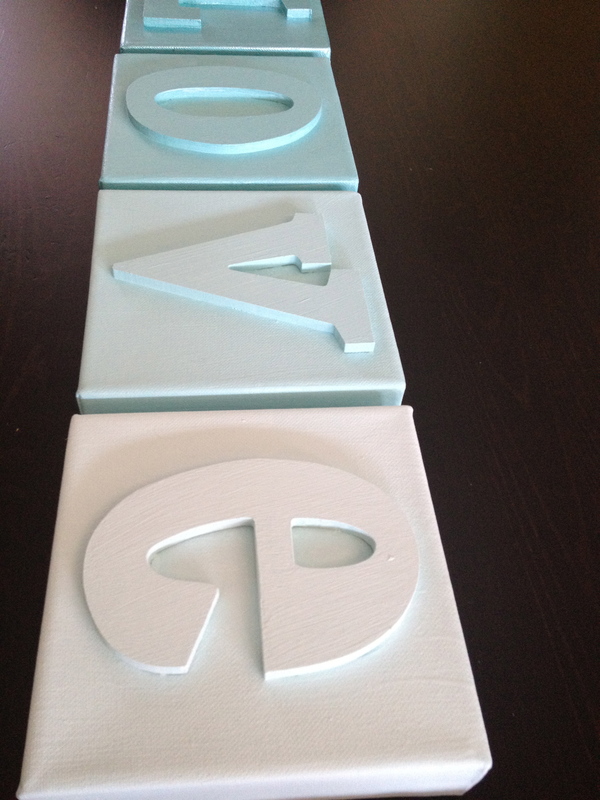 Step one of my project was to attach the letters to the canvas. 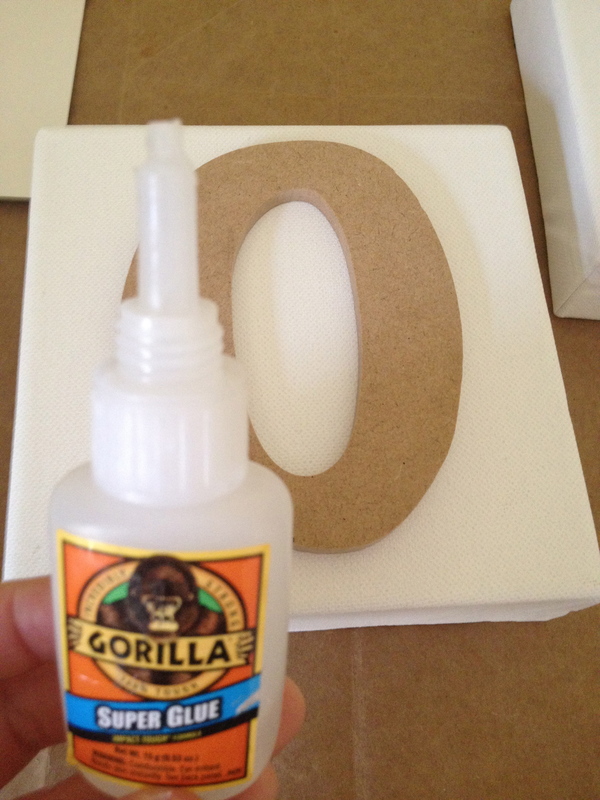 I used gorilla glue because it is super strong- like a gorilla. 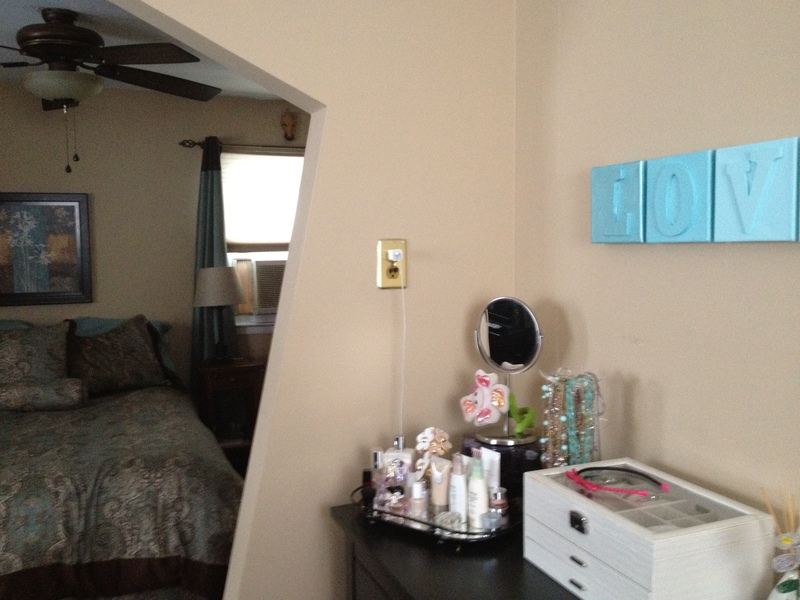 Though I love the clean look of white-on-white, I was looking for some color to add to my side of the bedroom. While we have plans for the two back rooms that include fresh paint & new color schemes, those changes are further down the road, and I wanted some new decor now. I’ve never been the patient type. Our current bedding and our curtains feature blues, turquoise and browns. 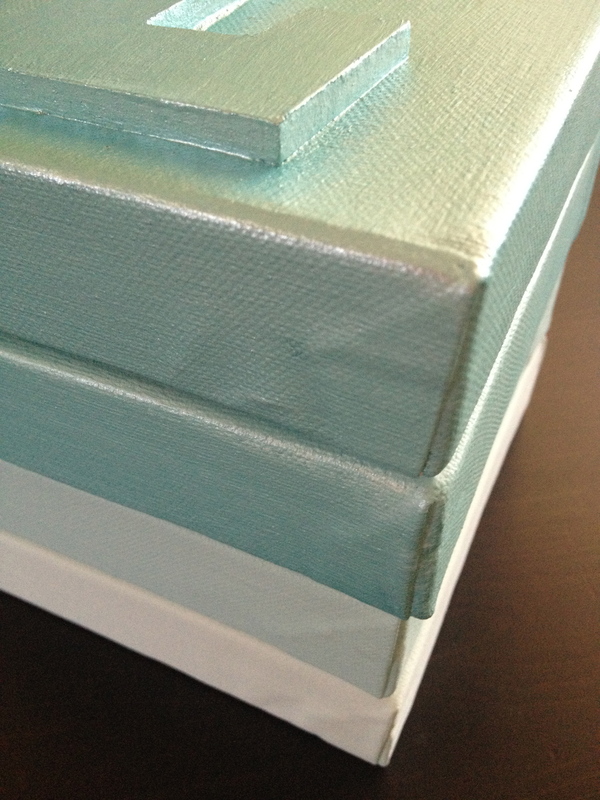 So I grabbed a bottle of Martha Stewart Aquamarine craft paint in the pearl finish. I love everything ombre, and so I chose to use my Folk Art Wicker White craft paint to gradually lighten my Aquamarine hue for each block. 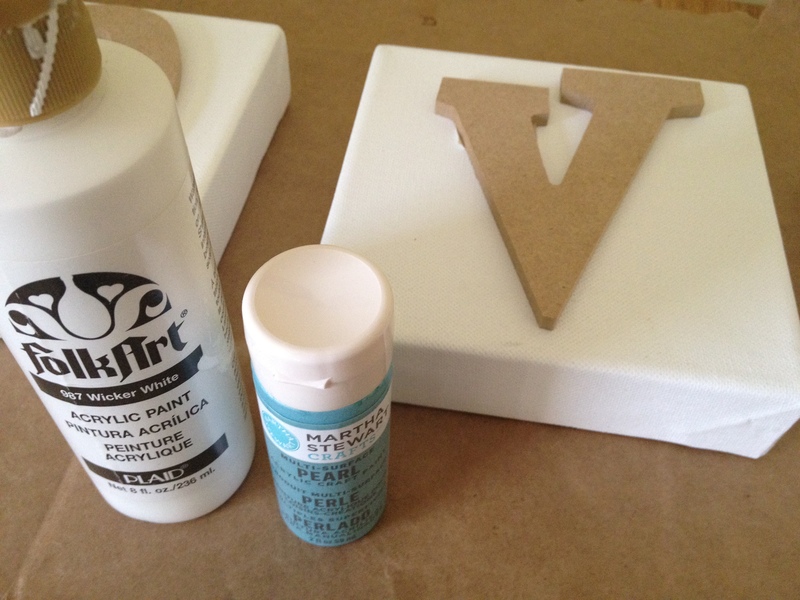 Though I didn’t take a picture to show this step, I ‘primed’ each letter in white before applying the overall paint. I used a couple different styles of brushes, experimenting to see which would cover most effectively. 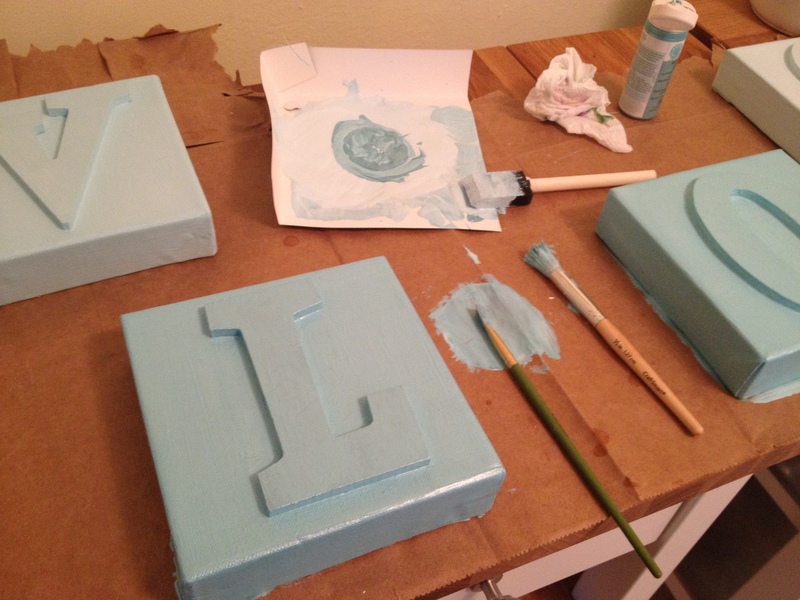 The foam brush was good for a first coat, while the smaller brushes helped get in the corners and crevices. I was kind of all over the place, as you can see, mixing my paint on a random piece of cardboard (and right on my brown-paper-bag work surface). I was really pleased with the way the different, lighter shades came out on each block. 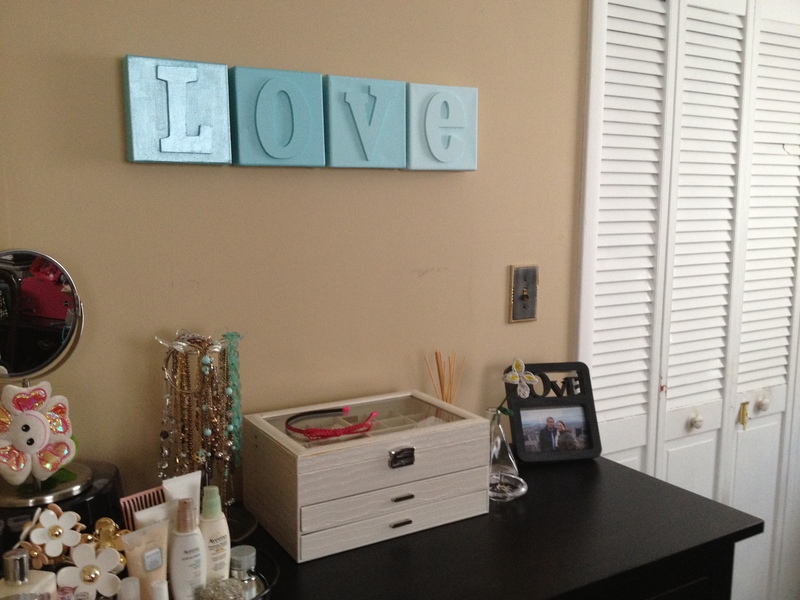 I hung my love blocks above my dresser, and love the look. This view shows how the colors work with our curtains/bedding. I hope you enjoy! What DIY projects have you been up to lately? I have to say that this was truly inspired! I have seen people use these letters before, but I really like that you not only mounted them to canvas, but usedan hombre paint effect! It really elevated the whole project and gave it a very finished and polished look. Thank you for sharing this idea, I plan to copy it for a project in my house! I’m so glad you like it! It was a fun project- I’d love to see how your version comes out! Oh I like it! I think it would be fun to make and put just about anywhere! craftroom, hallway, bathroom, kids room…it’s got my mind thinking!! 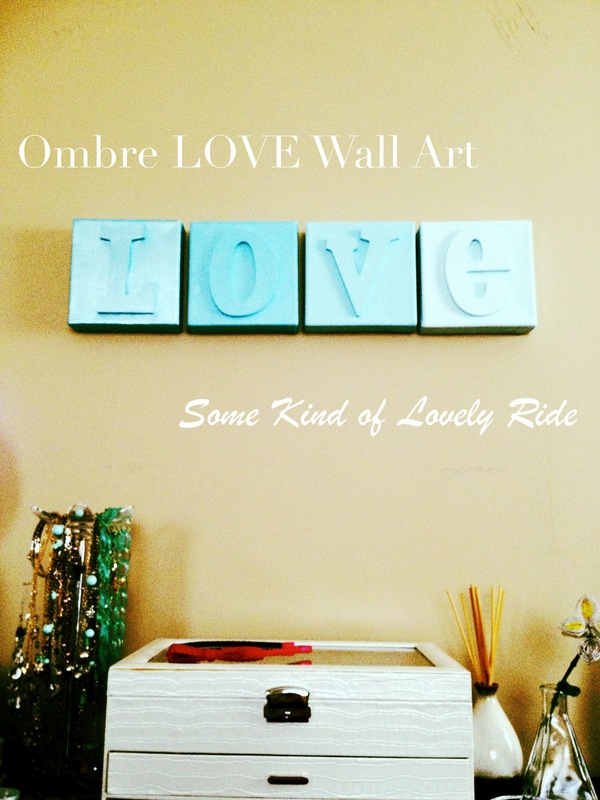 🙂 I love ombre and letter art! We’d love to have you link it up at our “Home is Where the Heart is” Link Party!